WHAT CAN I EXPECT IF I JOIN THE NORTH EAST MARATHON CLUB? We provide a variety of events across the year to encourage runners to participate no matter what their ability. By joining the club you get £2 off the affiliated cost of our events, plus a free event (The Leas) each year and chance to win our awards and prizes (see awards page). 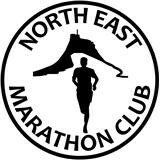 You can become a member of the North East Marathon Club and a member of a UKA club and can often get the affiliated price at events if you are a member of our club. You get to meet our friendly members and wear our lovely kit. We do not offer training events but do offer recces of our routes. DO I NEED TO BE A MEMBER TO ENTER YOUR EVENTS? No, anyone can enter our events providing they are over 18 and fit enough to run. ARE YOUR EVENTS OFFICIAL RACES? All of our events have a permit issued by ARC (Association of Running Clubs) and we have public liability insurance. All of our events have full permission and required licences from landowners. We alert the police, local authorities and emergency services to our events when not on private land. HOW SAFE ARE YOUR EVENTS? Our events have medical cover provided by paramedics rather than first aiders. We provide water and fuel stations with water, juice and sweets as near as possible to every 5k. We provide full course descriptions and maps for all of our events. HOW CAN I ENTER YOUR EVENTs? All of our events can be entered via SiEntries (https://www.sientries.co.uk/). All on the day entries will be charged at £25. We no longer accept postal entries. WHAT CAN I EXPECT TO GET FOR MY MONEY? Crisp, chocolate, water, juice and a medal on finishing and hot drinks at the Winter Wonder events. Trophies for first male and female finishers at larger events (Druridge Bay, Coastal and Town Moor) or first, second and third prizes at smaller mararthons and half marathons. Vets age group category trophies at larger events. Occasional additional mementos such as socks, buffs, hats, t-shirts or beer, depending on event finances.. Fantastic, encouraging, friendly marshals and officials. Low cost events in scenic locations. CAN I GET A REFUND OR DEFER MY PLACE? No, as we are a voluntary, non-profit organisation we cannot afford to do this. DO YOUR EVENTS COUNT TOWARDS MEMBERSHIP OF THE 100 MARATHON CLUB? Yes! All of our events are designed to be compliant with the 100 Marathon Club rules. Events must be completed within the stated hours for them to count towards 100 marathon club totals. This is because our permits to use the land, and therefore our insurance cover, are only valid for this period. Starting before, or finishing after, the published times, means that they will not be 100 marathon club compliant, as they will not have the necessary cover. DO YOU HAVE COURSE ACCURACY CERTIFICATES FOR YOUR EVENTS? We have a distance accuracy certificate for the Town Moor Marathon and Town Moor Half Marathon. All of our other events are measured using a combination of Garmin, Strava and other GPS measuring devices.